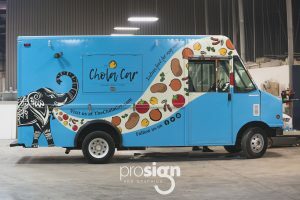 Coming soon to the streets of Columbus is the Chola Car! 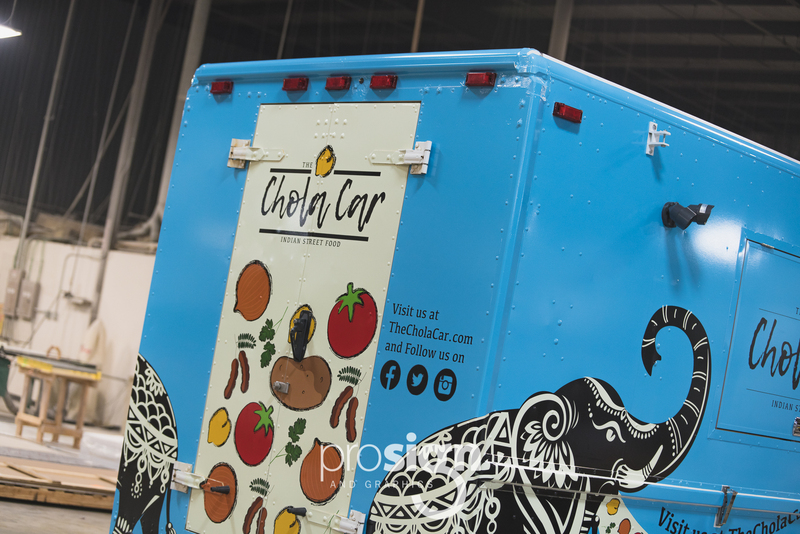 Get ready for a taste of something new with Chola Car’s exciting cuisine based on Indian street food. 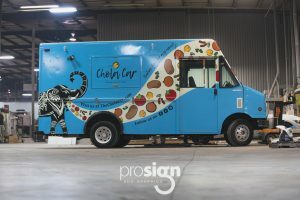 Pro Sign & Graphics had the pleasure of helping make this food truck a reality by converting a repurposed delivery truck with a beautiful new wrap. From decrepit delivery drone to fabulous food truck, this vehicle underwent quite the transformation! 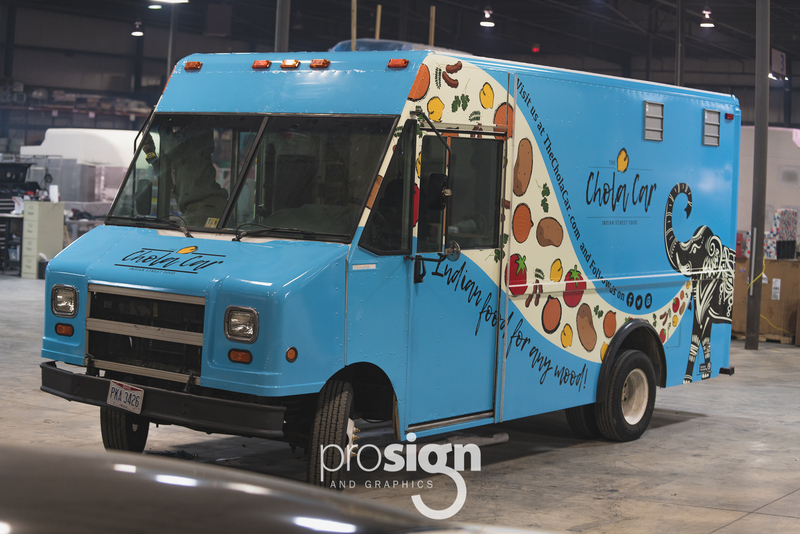 Our expert installers worked tirelessly to ensure it looks its best for its debut on the streets of Columbus. 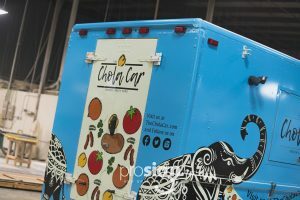 If you’re interested in finding the Chola Car, check out their website at www.thecholacar.com. Pro Sign and Graphics is proud to offer over 25 years of sign industry experience and knowledge for your project. Our insistence on using only the best materials for the job has actively earned us clients who desire high value over low price. 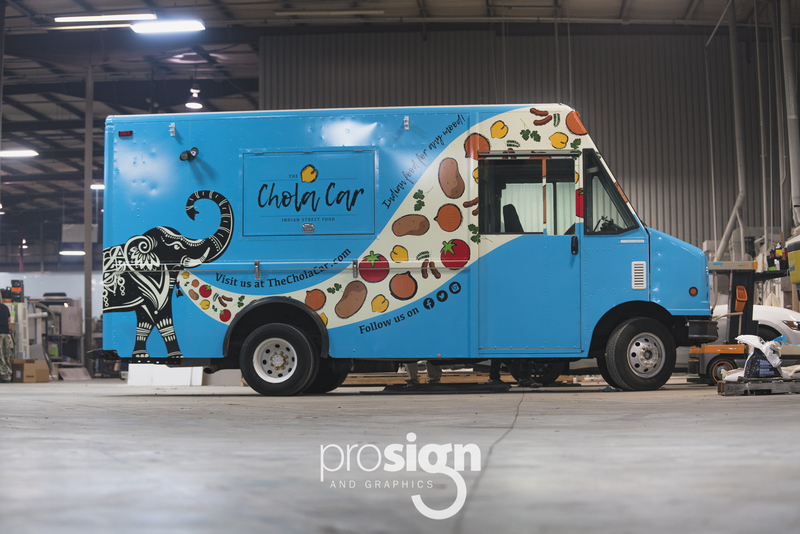 With this philosophy in mind, we are always striving to meet and exceed the expectations of our clients.